This book is a first-of-its-kind treatment of the ballad novels of Sharyn McCrumb. It contains articles and essays about all aspects of McCrumb’s work, including literary criticism, interpretation, and practical suggestions for teaching the ballad novels. 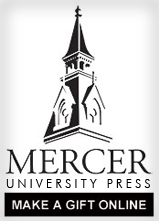 Through essays written by fourteen different scholars of McCrumb’s fiction and one by McCrumb herself, readers will gain a deeper understanding of the real southern Appalachian mountains, not just the popular image. “Maizee Hurd was an easy target for hard times,” according to Burdy Luttrell, the town healer. Burdy is a Melungeon woman with striking features and mysterious ways. She owns the land the Hurds leased following their marriage on June 3, 1940. Maizee moved upriver at the age of ten after tragedy struck, and she was sent off to be raised by a childless aunt and her doctor husband. Shortly after Maizee’s ferry boat arrival in the rural mountain community of Christian Bend—carrying only a small suitcase, her mama’s Bible, and her doll Hitty—the young girl began hearing the voices that would continue to torment her. North from the Mountains is the first substantive study of the Carmel Melungeon settlement since 1950. Tracing their history from about 1700, this book contains extensive firsthand information to be found in no other source, and relates the Carmel population to the Melungeons and similar mixed-blood populations originating in the Mid-Atlantic coastal region. The Electronic Front Porch examines the arrival of radio and television in Appalachia, and the Internet's role in the Melungeon community. It contributes to a variety of disciplines, including media, Appalachian, and popular culture studies, in addition to oral, Southern, and American history. The Melungeons shares the story of a people ravaged, and nearly destroyed, by the senseless excesses of racism and genocide, a people who were, a century ad a half later, crushed beneath the violent onslaught of unbridled Anglo jingoism. Recognizing the truth of who the Melungeons were, and are, will redefine our view of the settlement of this nation, and, more to the point, of our own self-identity. It will also render incomplete and possibly obsolete much of what has been written and preserved about our Southern ethnic heritage. Just a century ago, while specialized practices such as farming, preserving food, hunting, gathering, and distilling ensured survival in the unforgiving mountain environment, most Melungeons could neither read nor write and refused to see those skills as part of a cultural imperative. In the twenty-first century, taking reading and writing for granted, Melungeon descendants are exploring their ethnic identity by creating websites and participating in listserv discussions. Walking toward the Sunset is a historical examination of the Melungeons, a mixed-race group predominantly in southern Appalachia. Author Wayne Winkler reviews theories about the Melungeons, compares the Melungeons with other mixed-race groups, and incorporates the latest scientific research to present a comprehensive portrait.